Each story I hear about what’s going on right now at the U.S.-Mexico border feels like a kick in the teeth. Kids locked up like animals in cages made of fencing and wire. Others huddled together on cold metal benches and cement floor. Meanwhile, their parents are held in detention centers hundreds of miles away in a different state — with little to no way of communicating. This is the reality faced by thousands of children who’ve been torn from their parents’ arms because of Donald Trump’s cruel and bigoted immigration policies. Of course, that’s not enough for Trump. News broke early last week that he wants to put these children in actual prison camps. 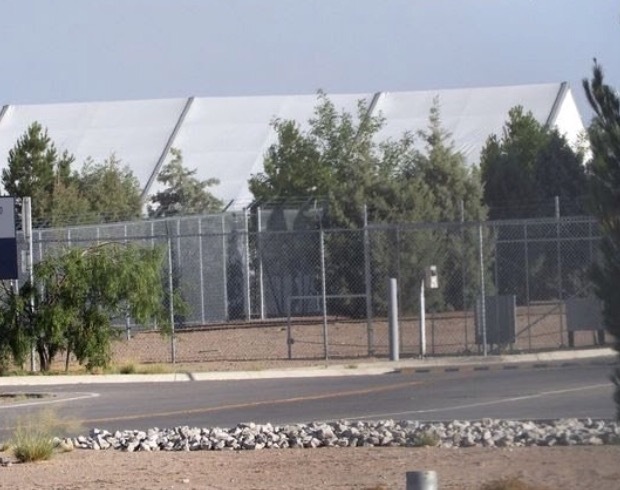 Outside of a tent camp in Tornillo, Texas, where children who are separated from their families may be placed. This is inhumane — and goes against everything our country should stand for. I’m fighting my heart out in Washington to put an end to these horrible practices — but while we wait for Republicans who control Congress to step up and do their jobs, you can help separated families right now. I need your help supporting kids at the border. Will you chip in to these groups that are working to protect families separated by ICE? Anything you’re able to give will make a difference. Let’s not forget: the families targeted by the Trump administration have sacrificed and risked EVERYTHING for a fighting chance at a better life. Many have traveled hundreds or even thousands of miles to flee unimaginable circumstances: gang violence, natural disasters, domestic violence. But when they reach the border, they’re treated like criminals and animals. Their only crime? Seeking refuge here in the U.S.
I’m doing everything I can to fight back — including co-sponsoring the Keep Families Together Act, a bill introduced by Senator Dianne Feinstein that would prevent the Department of Homeland Security from tearing children from their parents at the border. Thirty-eight Democratic Senators and two Independents have signed on to this bill — and now it’s up to Republicans in Congress to do the right thing and end this cruelty. While we wait for Congress to take action, please join me in supporting organizations that will help families at the border get legal representation and other importance assistance. I need you in this fight, too. Will you chip in and take a stand for immigrants’ rights and dignity? I know our country is better than this, and I’m not going to stop until every child is reunited with their parents.